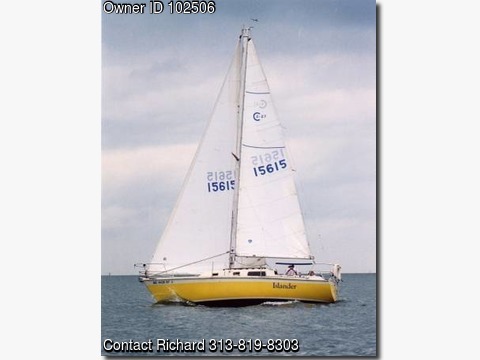 Please contact the owner @ 313-819-8303...Fiberglass hull and deck, aluminum mast and boom, Yanmar Diesel 2GM20F, dual batteries, 120 volt AC and 12 volt DC electrical systems. Equipment This boat is equipped for cruising and racing. Mainsail, two genoas, spinnaker, storm sail, roller furling, back stay adjuster, spinnaker pole, cabin vents, cabin fans, screens, winches, galley with sink, ice box, single burner stove and propane grill, bilge pump, fire extinguishers, dodger , sun shade and side curtains to enclose cockpit, type IV horseshoe, fenders, Danforth anchor with chain and nylon line, Bottom has epoxy barrier coating and VC17M bottom paint. Also included are storage cradle, winter tarps, and much more.